Full Frame: Who Doesn't Want A$20Billion? This is an update to my article " Japan's Soryu Class : Collins Replacement Prime Contender ". A quick recap : Australia has a fleet of 6 Collins Class conventional diesel-electric guided missile submarines that needs to be replaced starting from the year 2025. These boats were designed by the Swedish ship builder Kockums AB and built in Australia by a newly formed joint venture the Australian Submarine Corporation. The entire Collins project was riddled with delays and huge cost overruns. Even to this day the submarines still suffer from multiple defects and have serious availability issues. Digital Image of what Australia's future submarine might look like, as seen on ship builder ASC Pty Ltd's website. The Royal Australian Navy is looking to replace them with 10 to 12 new submarines by the year 2030 to 2040, at an initially estimated cost of between A$36 to A$44 billion. The ruling Liberal Party came to power promising domestic construction of these future submarines but until recently looks likely to break that promise by buying direct from Japan. That development had prompted German, Swedish and French boat builders to come up with their own unsolicited offers, initiating a submarine bidding war down under, making the Soryu deal less of a certainty. The future of Australia's shipbuilding industry is at stake, as Australia might lose her capability to construct submarines and warships should the contract go to a foreign shipyard there by forcing ship builder ASC to retrench skilled labour or worse, go into receivership. It would be difficult and time consuming to rebuild a new team of professional workers once the existing ones have found work elsewhere. Jobs could be at stake, as domestic construction at ASC's Adelaide facility could generate and support 3 to 4 thousand jobs. At least A$20 billion or more is at stake for the winner. This is by far the single most costly defense related procurement by Australia, ever. Even the follow on order of 58 F-35A Joint Strike Fighter announced in April 2014 would "only" cost A$11.5 billion. The Australian Dollar has depreciated significantly in the past 2 or 3 years but is still worth USD0.77 as of today. Prime Minister Tony Abbott's reputation could be at stake if he reneges on pre-election promises to have the submarines built in Australia, though adept politicians always have ways to wriggle themselves out of such situations. AUD$20 billion is the magic figure quoted by all the potential submarine makers. Of course everybody wants A$20 billion, who doesn't? SAAB Kockums of Sweden, TKMS of Germany and DCNS of France have all come up with proposals and have indicated their willingness to work with Australia's ASC, giving Japan Inc. a run for their money. Kockums AB of Malmo, Sweden was the original designer of the Collins Class submarines and the Stirling air-independent propulsion engine used in the Soryu Class boats. It was acquired by its German rival Howaldtswerke-Deutsche Werft (HDW) in 1999. Then HDW was itself bought by the German conglomerate Thyssen Krupp in 2005 and they all became a big dysfunctional family known as ThyssenKrupp Marine Systems ( TKMS ). While all these mergers and acquisitions was happening, Kockums was working on the next generation submarine for the Swedish Navy with several innovative and advanced features, the A-26 Class with air-independent propulsion. However, the development of the A-26 was derailed by TKMS due to long standing conflict of interests. The Swedes believed that they have a great design on hand and wanted it developed not just for the Royal Swedish Navy but for worldwide export as well. 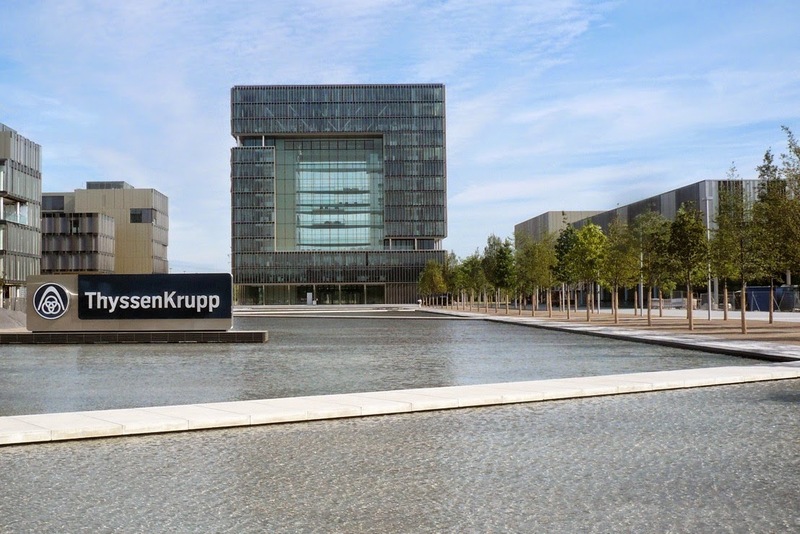 The German masters of Kockums on the other hand are worried about cost escalation on a risky new project and cannot come into agreement with the Swedish Defense Ministry on how such additional costs should be managed between the two parties. Although 2 boats have been approved the Swedish by Parliament in 2010 for completion by 2020, long drawn contract negotiations between the Defense Ministry and TKMS came to nothing before failing completely in Apr 2014. Without any contracts to build Sweden's ( or anybody's ) next generation submarines, Kockums looked likely to have to lay off marine architects, engineers and technicians. And as Kockums go under, the Swedish Kingdom looked set to lose its sovereign capability of building submarines and warships. Added to this mess is the uncertainty as to who actually owns the intellectual property rights to the Collins design, is it Kockums / TKMS or is it the Swedish State ( through the Swedish Defense Materiels Administration or FMV ). This has resulted in Kockums being overlooked by Australia in its initial search for suitable supplier for the Collins replacement project. The loss of the deal to supply the Republic of Singapore Navy with 2 new submarines in late 2013 and the Russian annexation of the Crimean Peninsula earlier last year was a rude wake-up call to the Swedes who realized that they had do something fast to reclaim their ship building industry and to safeguard the defense of their Kingdom. Negotiations to buy Kockums back began between the Swedish defense conglomerate SAAB and TKMS. Things did not move until Sweden seemingly deployed strong arm tactics, including the FMV's raiding of the Kockums / TKMS office with armed military personnel to forcefully remove highly sensitive materials pertaining to the A-26 and Stirling air-independent propulsion engine designs, taking back what rightfully belonged to the Swedish State. SAAB also embarked on a widely publicised exercise that poached the entire technical management team at Kockums including the manager for the submarine division and more than 200 of Kockums' existing pool of engineers, effectively removing its core workforce. Facing such hostile acts, it is not surprising that TKMS threw in the towel shortly after and agreed to sell Kockums to SAAB. SAAB has since completed the acquisition of Kockums on 2nd Jul 2014 and the new entity is called SAAB Kockums. This paved the way for the stalled and severely delayed A-26 project to move forward and for SAAB to offer a 4000 tonne version to Australia as the Collins replacement submarine. In the words of the CEO Håkan Bushke " ... the Swedish Kingdom now controls the intellectual property for Australia's currently-serving Collins class submarines. If there is an open competition, SAAB Kockums will be in it." SAAB Kockums in its last minute declaration of interest on the Collins replacement project has also offered to take Australia's shipbuilder ASC and Royal Australian Navy engineers and technicians to work on the Swedish Navy's 3000 tonne A-26 of which five were to be built, with the first boat due to be operational by the year 2023. CEO Bushke said that SAAB's solution will be affordable and will be able to match the $20 billion price tag of its Japanese and German rivals. Kockum's resurrection from a moribund subsidiary of ThyssenKrupp Marine Systems to becoming part of the Swedish defense giant SAAB within the span of a few months is nothing short of spectacular. It would be even more incredible if they could win this submarine bidding war and become the supplier of Australia's future submarines. Being a completely new design, the A-26 offer carried with it unknown risks of cost escalation and timeline slippages. Add to that volatile mix the uncertainty of ASC's competency as a ship builder and the RAN could end up in a very dangerous situation, third time in a row. TKMS was until Jul 2014 the parent company of Kockums. It used to be the front runner for an evolved-Collins submarine that will see TKMS build on the strengths of the existing Collins Class and rectify known short comings and defects, since the Collins boats were designed with the help of Kockums in the first place. The main stumbling block for the evolved Collins Class was that the ownership of the intellectual property rights for the Collins submarine as well as the Stirling AIP engine that will be installed in the future submarines, was in dispute as the spat between the Swedish government and TKMS escalated. Australia understandably have no wish to be caught in the crossfires of a patent ownership war and have ultimately looked towards Japan which has a fleet of the world's most advanced non-nuclear submarines, incidentally also using Kockums / TKMS's Stirling air-independent propulsion system. TKMS Operational Headquarters, Essen, Germany. Wikipedia. Another deep seated issue was that TKMS has been constantly stifling Kockums all these years after the merger, intending for kockums only to produce small submarines while its German subsidiary HDW will get to build the big submarines for export. It probably was never quite keen for an evolved Collins boat, preferring rather to have a German solution for the Australians. In fact TKMS already had a Collins replacement concept in existence for sometime. It is the HDW Type 216 diesel-electric submarine with air-independent propulsion. Its design is based on the smaller Type 212A and Type 214 submarines current in service with the German and Italian navies, using HDW's proprietary fuel cell AIP system. Now that Kockums had been sold to SAAB, TKMS can no longer be involved in any evolved Collins design. Nonetheless TKMS has still indicated that it can help Australia build her fleet of 10 to 12 next generation submarines domestically and within the budget of A$20 billion, presumably with the HDW Type 216 design. The Type 216 looks good on paper, but is again a yet to be built design and with so much uncertainties, nobody, not even TKMS can guarantee that the entire project could be on time and on budget, especially in the hands of an inept shipbuilder like ASC. The latest to join the fray is the French ship builder DCNS with its SMX-Ocean diesel-electric submarine with air-independent propulsion. 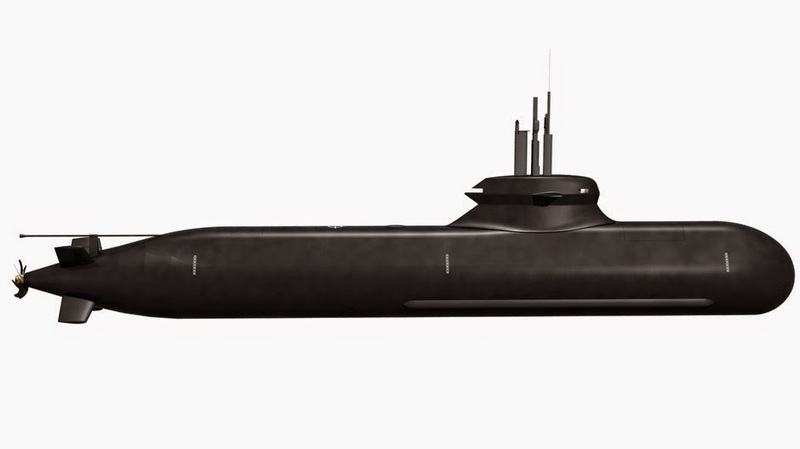 First revealed at the Euronaval 2014 exhibition in Paris in October, it is essentially a non-nuclear version of the Barracuda class SSN which DCNS is building for the French Navy. Although DCNS did not officially state that the SMX-Ocean concept was specifically created for the SEA1000 Collins replacement project, we all know what its purpose is. Incidentally DCNS opened a new subsidiary in Australia on 19th Nov 2014, DCNS Australia Pty Ltd, which just shows how badly they wanted a slice of the multi-billion dollar pie. The SMX-Ocean is a huge boat at 4750 tonnes and 100m long. It is powered by conventional diesel-electric power-plants and a second generation air-independent propulsion system. It can carry a load of 34 weapons including torpedoes, mines, cruise missiles, anti-ship missiles and anti-air missiles. It will incorporate vertical launchers, a UUV Dock, SDV, dry dock shelter and lock-out chamber for up to 8 divers. Its maximum diving depth is 350m. Its new generation fuel cell will enable a underwater endurance of 21 days. Maximum submerged speed is 20 knots while its usual transit speed will be 14 knots. Endurance at sea is up to 90 days with a maximum range of 18000 nautical miles ( 29000Km ) at 10 knots. If Australia is going to buy into this mad French scheme, she might as well request the US to convert their Virginia-class SSN into SSKs, just pluck out the General Electric S9G reactor and replace it with the Stirling AIP engine and you can have the frequently craved for 100% compatibility in operations with the USN. No? Kawasaki / Mitsubishi : Caveat Emptor? Although the option of a modified Soryu Class built in Japan looks like the safest bet for Australia's Collins replacement project so far, skeptics have plenty of arguments against taking such an option. First, Japan's war time past has come back to haunt her as pointed out that as recent as 70 years ago Japan and Australia were enemies at war with each other. The Japanese have even bombed Darwin in 1942, ahead of a land invasion which fortunately never materialized. And Australia had lost more than 300 ships to the Imperial Japanese Navy during World War II. To me that is at best a weak case against the Japanese because, well, times have changed. Australian skiers form the largest foreign groups at the Japanese ski resorts of Niseko in Hokkaido and Hakuba in Nagano every winter. Try convincing these Aussies to ski elsewhere. If one does not buy Japanese, then the Germans should also be excluded in the deal because they were part of the Axis powers with Japan and Italy during WWII! Skeptics are also concerned if Japan will remain a staunch American ally throughout the projected life of the future submarines, and whether Japan's constitution will again be changed to prohibit arms export in the future. Australia's opposition Labour Party has pre-emptively said that they would cancel any deal with the Japanese should they come into power after the next election. In response to the flurry of unsolicited offers from the European boat builders, the Japanese have indicated that they too are willing to co-operate with the Australians to help the Aussies develop the special steel required for submarine construction. Assembly will still be done in Japan. ASC Pty Ltd : Can't Be Trusted To Build A Canoe!! ASC screwed up the entire Collins project. They then went on to mismanage the upgrade and maintenance programme of the Collins boats. Now the same story is repeating itself with the Hobart-class air warfare destroyers. Late last year Australia's ex-Defence Minister David Johnston was censured by the Senate after saying he wouldn’t trust would-be contender for Australia’s new submarines, the government-owned ASC, to build a canoe. He later expressed regret that his remarks could have offended anyone, that he had expressed frustration over ASC's past performance in what PM Abbott had described as a rhetoric flourish. He further said that he was directing his remarks at a legacy of issues and not at the workers in ASC, whom he considered world class, eventually putting all blame on the former Labour government for mismanaging the troubled Air Warfare Destroyer programme. Having barely survived a no-confident vote and in a move to save his own career as the Prime Minister, Tony Abbott had given in to political pressure and had promised that the procurement of the future submarines would be subjected to a "competitive evaluation process" and ASC would be allowed to bid for it. It will not be an open tender, meaning not everybody is welcome to bid, certainly not Dear Leader Kim, or Bloodymir Pootin, or Xi Jinping for that matter. So the Japanese are now not guaranteed to win the Collins replacement deal and they are extremely confused and worried at the moment about Australia's sudden change of heart. Should Australia be spending A$20 billion on a dozen super-sized conventionally powered submarines with air-independent propulsion? Would she be better off buying a larger fleet of smaller submarines while at the same time constructing more submarine bases? Something like the HDW Type-218SG SSK might cost "only" 500 million Euros each. 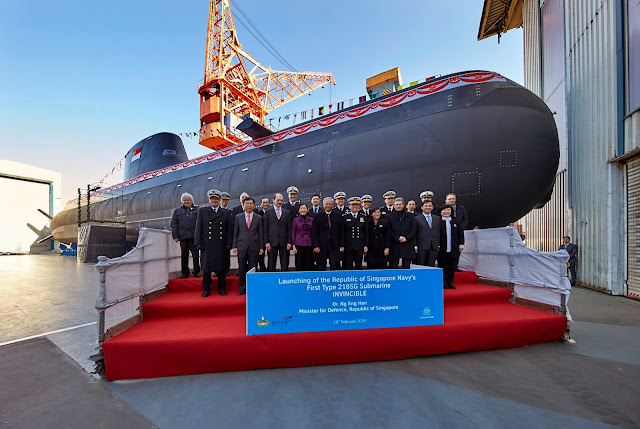 Buying fifteen of these smaller SSKs instead of the Soryu-class or similar to populate five submarine bases will probably save Australia enough money to construct the new submarine bases along the eastern, northern and western coastlines. Tony Abbott can then also sort of keep his electoral promise of local construction. You couldn't pre-fabricate submarine pens in Japan and then ship it over to Australia for assembly, or could you? The Race is over. 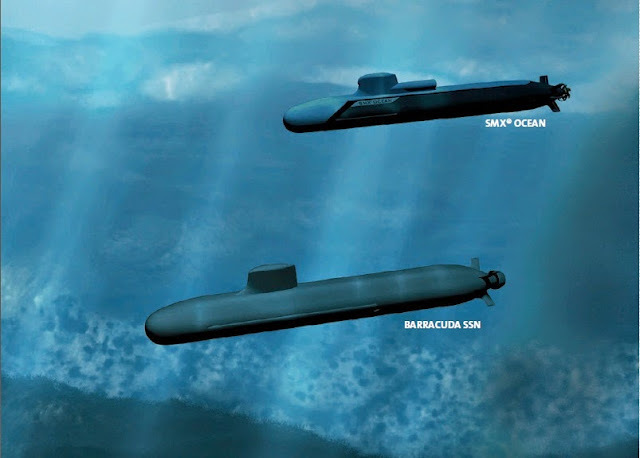 DCNS won the A$50 billion contract with its Shortfin Barracuda, aka SMX Ocean.